Voting now open - Taste of Kent Awards 2016 - remember - every vote counts! News Flash! 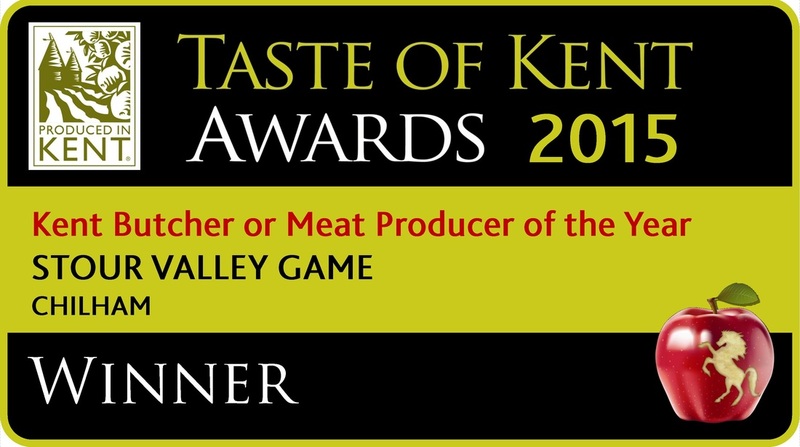 Kent Butcher / Meat producer of the year: Srour Valley Game, Chilham. Congratulations! Formerly wholesalers to other distributors, we have become independent retailers - recognised by the organisation Produced in Kent. In addition to this selection, we offer a wide range of exotic meats throughout the year, supplying restaurants, traders and the public. We are always happy to help and advise you so do come and find us at one of the many Farmers' markets with attend throughout Kent. We can offer cooking hints, tips and recipe ideas.